“With a headwind like that it was very tactical. It was wait, wait, wait and when I saw it was 500 metres to go, I know I can do that as fast as anybody. I just had to go all out for 500 metres." Daniel Martin (Etixx-QuickStep) continued his love affair with the Volta a Catalunya by winning the hugely anticipated first battle in the mountains on stage 3 of the WorldTour race. Surging clear on the short 1km ramp to the finish, he made use of his puncheur qualities to put two seconds into Alberto Contador (Tinkoff), Romain Bardet (Ag2r) and Tejay van Garderen (BMC), claiming both the stage win and the overall lead. Chris Froome (Sky) and Nairo Quintana (Movistar) both lost ground in the finale. Volta a Catalunya is a race which Dan Martin loves; after all, he won the general classification back in 2013, en route to this taking also an impressive stage victory. Now, the 29-year-old – who is in his first season with Etixx – Quick-Step – showed once again why he is one of the best riders in the world on explosive finishes, by landing another thrilling and spectacular win in the same Spanish race, at La Molina, a regular feature in Catalunya for some time now. Coming at the start as Etixx – Quick-Step’s leader and looking to improve on his tenth place of the previous edition, Martin stayed safe in the first two days of the event and patiently waited for the first opportunity to show himself, which came on Wednesday, when the peloton faced a tough stage (Girona – La Molina, 172.1 km), with four categorized climbs. Inside the final kilometer, just as the race was experiencing some sort of status quo, Dan Martin sensed an opportunity and attacked, putting a handful of seconds between him and his opponents, before they got to react. Without ever looking behind, the Irishman surged on the first-category ascent and arrived alone at the finish line, where he delivered his second victory of the year, after the one in Volta a la Comunitat Valenciana. The Etixx – Quick-Step rider was followed on the podium by seven-time Grand Tour winner Alberto Contador and Romain Bardet (AG2R). In the overall standings, thanks to the time he took on the road and the bonus seconds he grabbed at the arrival, Martin leads with a 6-second advantage over Contador, four days before the conclusion of the race. “I am so happy for this win. The guys were incredible! Since this morning they said they will ride for me and did a fantastic job. It’s great to see how much confidence they have in me, and this only makes me stronger. I knew this finish, and what helped is that it was similar to the one in Valenciana, Alto de Fredes. In the key moments I stayed at the front and I was relaxed all the time. There was some headwind on the climb, so it was important to time the attack to perfection on that steep part of La Molina”, said Dan Martin of his great victory. “With a headwind like that it was very tactical. It was wait, wait, wait and when I saw it was 500 metres to go, I know I can do that as fast as anybody. I just had to go all out for 500 metres. “I don’t know if I am stronger than I was in 2013. I have had a really good winter, and worked really hard. The last two or three years I’ve had a lot of bad luck, now I’ve got this team that really believes in me 100 percent, will work 100 percent for me and that belief, that confidence is really showing in the results. “That’s another hard climb, and it will be difficult to defend the jersey. Still, we have a very strong team and will try to keep the lead. The time gaps are always small in this race, so who will come out on top tomorrow will probably win the GC. Being the leader is always better than being second or third. Stage 4 of Volta a Catalunya (Baga – Port Ainé, 172.2 km) will be another affair of the climbers, who’ll fight on the last ascent for the victory, but also to make some gaps in the general classification. Port Ainé is 18.5 km-long and averages 6.8%, with the final 4 kilometers having a gradient of 8.3%. The climb returns to the race after three years, at the previous visit Daniel Martin being the one who took the honours. The mountains delivered on their promises on stage 3 of the Volta a Catalunya, where attacks in the final kilometre saw Alberto Contador take second place on the stage and move into second on GC. Looking calm and composed, Contador pursued the wheel of Dan Martin when his rivals were unable to, coming in two seconds after the stage winner. With more mountains to come, there’s everything still to race for with only seconds separating the top contenders. The town of Girona was the start of today’s stage, which saw the race enter the big mountains. The 172.1km course crossed three first category climbs, before ascending a final first category climb to the finish. This was the stage the GC contenders had been waiting for, and was the first of two high-mountain stages where the real time gaps would be made. While there were breaks from the start, the bigger teams knew that the decisive climbs would come later in the stage. In spite of this, Pieter Weening of Roompot-Oranje Peloton staged a daring solo breakaway, with his gap bridged only 9km from the finish, just as the snow of La Molina was becoming visible. A second break was caught at the 5km mark, as the favourites started to show their faces at the front, and which saw Alberto Contador keeping pace. Looking back on the stage from the finish, Sport Director, Sean Yates, summarised how things panned out. As the last kilometre loomed, the final attacks came and while his rivals weren’t able to follow, Alberto Contador managed to match the pace of Dan Martin of Etixx-Quick Step, finishing the stage two seconds after him in second place. Contador goes into stage 4 six seconds off the top of the GC with gaps forming below him. Of the day’s outcome, Alberto Contador was pleased with the result. Stage 4 tomorrow is set to be a decisive one. After the thrilling climax of today’s stage, the seconds separating the top of the GC classifications, and the imposing peaks of the top category Port de Canto and Port Aine dominating the 172.2km stage profile, anything can still happen. Sean Yates looked ahead to tomorrow’s racing. Having come to the Volta a Catalunya suffering from a cold, Alberto was concentrating on his recovery before stage 4. ”What is important now is to see how I recover ahead of tomorrow. I came here with a cold from Paris-Nice and in that sense it's positive. The worst of it is behind me, otherwise I couldn't have achieved this result. Tomorrow's stage, in principle, is more suited to my characteristics and we'll try to perform better. Daniel Martin is a strong rider and knows what it is to win on tomorrow's climb since he took the GC there in 2013. It isn't a surprise either, that he won today, and right now he's the one best placed for the GC. Nevertheless, I think that we can't draw many conclusions from the climb today. We rode in a group, the wind was blowing strong and the climb, with the exception of the first three kilometres, was quite tolerable. Still, I think Martin has the best chances for the GC right now." "I'm very happy,” Bardet said. “There was a little waiting between the favorites because it was a difficult stage, with 3200 meters of altitude and a final for puncheurs. I am satisfied to finish well placed and gaining seconds. ”Last year, I abandoned the Tour of Catalonia without having been able to do this stage as I knew it was good for me. There are already differences and tomorrow we will climb even more difficult mountains. Domenico Pozzovivo lost 28 seconds. "I was not on a good day,” he told Velopro.net. “I tried to survive on the final climb, but it was hard. “I tried to limit the damage , but it was tough. Definitely I expected more, but unfortunately the legs were bad. “Now we'll see if the shape is better tomorrow. In the team we have Romain (Bardet) who is in great shape and should find solid terrain for him tomorrow. Tejay van Garderen and Richie Porte had the chance to team up on the climbs for the first time today in what was the first of the stages for the General Classification contenders. It was a tough stage with four category 1 climbs including a double ascent of La Molina. It was on the final climb that the breakaway was caught and the attacks started coming in all directions. The summit finish on La Molina saw van Garderen cross the line in fourth place and Porte in fifth place, behind stage winner and new race leader Daniel Martin (Etixx Quick-Step). “I wish I had a bit more response in my legs to get directly of Martin’s wheel when he went, but instead I had to slowly claw back and it cost a bit of energy. It was a good finish and both Richie and I were up there so we will be content with that. Tomorrow, it'll be a big stage, that's all we can say,” van Garderen said after the stage. “It was not a difficult day in the bunch even if it was fast all day but it was a good effort for Tejay and I. It’s not up to us to make the race tomorrow. We’re in a good position now so we’ll see what happens,” Porte explained. Van Garderen now sits in fourth place on GC, 12 seconds behind Martin and Porte in fifth place, 19 seconds behind. Stage 4 tomorrow sees the peloton stay in the mountains and will be play a big role in determining the GC standings. La Molina’s finish, first mountain-top arrivée in the 2016 Volta a Catalunya, eventually became a last-kilometer duel between GC contenders after much control from their teams. Nairo Quintana tried twice to leave his rivals behind, the Colombian – well supported by the whole Movistar Team, including Marc Soler’s big pace on Toses (Cat-1) and Winner Anacona’s support in the finale – crossing the line in 6th place, 8” behind Dan Martin (EQS). He is now fifth overall, 19” in arrears. On the other hand, the Movistar Team regretted to lose one of its riders, Rubén Fernández, due to a flu caused by the recent Paris-Nice, covered in rain and snow. The squad directed by Arrieta and Laguía will tackle the Volta’s Queen stage with just seven riders, as roads remain steep on the 172.2km from Bagá to the HC ascent of Port Ainé (18.5km at 6,2%). “Team-wise, we worked well. We stayed the whole day at the front, we cooperated with Sky when the break got 12 minutes, so we could fight for the stage… but still, in such an explosive finish, it’s sort of a lottery. Maybe Nairo jumped a bit too far out, too early, yet this is his first European race of the season, his first contact with the mountains here… we must remain safisfied. Davide Formolo finished seventh and took the white jersey. "We worked hard in preparation for this part of the season . I'm pretty good and tomorrow I will try to do something,” he told Spaziociclimso. "Being up front is always nice. Sooner or later, I will get the victory- I hope to grow until the Giro." After two days of mass sprints, it was time for the snowy mountains on northern Spain for stage 3 on Wednesday at the 96th Volta Ciclista a Catalunya. Team Katusha’s Ilnur Zakarin put himself right in the middle of the climbing action on La Molina and managed an eighth place finish behind stage winner and new race leader Dan Martin of Etixx – Quick Step. “I can't say the final climb was too hard. Rather it was too fast and not my type of climb. Anyway I felt quite good today, but on the descent it was very cold – just incredibly cold. During the stage I was protected by the team, so I want to thank the guys for their support. In the last climb I was in front, I answered a few attacks in the last two km, but the speed was really high, and when Martin attacked with 500 meters to go, it was just too fast for me. I hope to recover by tomorrow, because it will be the decisive stage. I think it will suit me better,” said Ilnur Zakarin. Ilnur Zakarin is ninth at 22-seconds on the classification. Chris Froome moved into eighth place at the Volta a Catalunya by finishing ninth on the first big mountains stage. Froome benefitted from some great support from his team-mates on the 172km trek from Girona to La Molina, and then emptied the tank with the other main contenders before the summit finish. The 30 year old crossed the line 12 seconds behind Daniel Martin (Etixx - Quick-Step), who launched his decisive move in the last 500 metres to triumph with a two-second advantage over Alberto Contador (Tinkoff). That result also saw Martin take control of the leader's jersey, where he now holds a six-second lead over Contador before Thursday's even tougher test. Froome meanwhile, is 22 seconds back on the general classification, six seconds ahead of his 10-placed team-mate Geraint Thomas. After the stage, Froome was philosophical about his performance but keen to stress the positives. "The team were super strong all day but unfortunately we didn't finish the job off in the final. This is my first race back at WorldTour level and I'm still finding my legs. ”Tomorrow is a new day though and we've still got a lot to race for with myself, Geraint and Wout still in contention. "It's been great being back with the guys again. There's a great atmosphere in this team and hopefully we can build on that. We've still got a few days to go and we want to play a part in this race." The Caja Rural - Seguros RGA riders continue to impress in Volta a Catalunya. On the mountain top finish on stage 3, Hugh Carthy followed the top GC favorites to finish in 10th place just behind double Tour de France winner Chris Froome. Daniel Martin (Etixx - Quick Step) won the stage and now leads the race overall. “The final was very fast. We had tailwind on the last climb and Team Sky set a furious pace until the final kilometer when the attacks began. I went full gas and gave it my all. I’m very happy to finish in 10th place in a race with such a strong field. Tomorrow is another hard day. I have to keep my calm and go as fast as possible on the final climb, also keeping an eye on the youth classification,” Hugh Carthy said. Thursday's stage 4 of Volta a Catalunya starts with a climb and finishes with an even bigger one. The ascent up to the Port Ainé ski resort is 18.5 km long and has an average gradient of 6.8 % with several parts of double-digit gradients on the final kilometers. After two stage wins, Nacer Bouhanni (Cofidis) abandoned around the midpoint of the race. The Frenchman is suffering from stomach problems. IAM Cycling learned its lessons from Paris-Nice and Tirreno-Adriatico. “It is essential to be at the front,” Lionel Marie pounded into their heads at the Volta a Catalunya. And the riders took his words to heart. On the slopes of the Molina, the first finish at altitude for the Volta Catalunya, there were not just one, but three riders from the Swiss team that were strong enough to finish with the lead group. Jarlinson Pantano, Larry Warbasse, and Mathias Frank crossed the line in 19th, 25th and 28th positions, respectively. 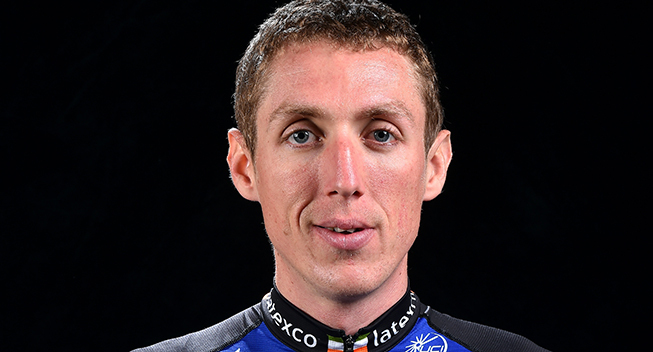 Dan Martin (Etixx Quick-Step), won the stage just 22 seconds ahead of IAM Cycling’s best finisher, the Colombian Pantano. Warbasse and Frank came in 28 seconds behind the Irish climber. “This was a very satisfactory result,” directeur sportif Kjell Carlström exclaimed. Tomorrow the riders will tackle Port Ainé, a twenty kilometer ascent with a 6.3% average gradient that reaches up to 2000 meters. This is the final of the fourth stage for the Volta a Catalunya. For Team Dimension Data for Qhubeka the stage began with Omar Fraile unable to take the start. Fraile had been ill in the weeks leading up to the Volta Ciclista a Catalunya and after the first two stages it was evident that Fraile needed a few more days of recovery despite finishing both stages. Nevertheless, things were soon looking upward for the African Team again as Johann van Zyl jumped into the 7 rider break of the day. The showdown between the big names would eventually materialise though as the attacking began with 2km to go. At this point, Team Dimension Data for Qhubeka had Merhawi Kudus among the action with the young Eritrean trying to follow the attacks of Wout Poels (Team Sky) and Nairo Quintana (Movistar). Kudus rode strongly to round out the top 20, a good result for the young man against nearly all of the best climbers in the world. Some less positive news from out on the course was that Adrien Niyonshuti had to abandon the race mid-stage today. Niyonshuti picked up a cold last night and today he was coughing quite a bit while also battling to breathe. It was a difficult decision for the Rwandan star but he eventually stopped and will now focus on his recovery. “It was a good stage and quite difficult with a lot of climbing and it was also quite cold. I was feeling comfortable for most of the day and it was good that we had Johann in the break. On the last climb we had some headwind so it was not possible to attack the pace that was being set. I just tried to follow the wheels and finish with the best result possible. There are some good guys here so I am happy for today but will try for more tomorrow,” Merhawi Kudus said. “It was the first mountain stage today and so many riders had a lot of expectations, with each team trying to work out how the final would go with so many big names here. In the last part of the race it was very windy and that made the race more conservative from the big guys. From our side, we wanted to be represented in the break and we were with Johann. For the final we had Igor Anton, Merhawi Kudus and Kanstantsin Siustsou to see how long they could follow the big names and to see if there would be any options for us on the final climb. With the wind there were very few attacks and only Merhawi was able to follow the favourites. He did very well and we are happy with his result. Tomorrow suits him pretty well so once again we will try to be part of the action,” sports director Alex Sans Vega said. Robert Gesink, unable to generate his normal power, lost almost two minutes to today’s winner Dan Martin (Etixx - Quick Step) in the third stage of the Volta Ciclista a Catalunya. Team LottoNL-Jumbo’s front man was distanced already early on the final climb. Primoz Roglic and Steven Kruijswijk, however, were able to stay in front. Gesink didn’t know why he lost so much time. Primoz Roglic and Steven Kruiswijk were able to follow the first group. In the beginning of the day, Koen Bouwman showed himself. The neo-professional was in the early breakaway. Thursday’s stage will be even harder than Wednesday’s. For Steven Kruijswijk, who’s 32 seconds behind in the general classification, and Primoz Roglic, six seconds after Kruijswijk, it will be an exciting day. “I’ve paid a little for the change of rhythm in the final but the sensations were good today throughout the stage,” said Fabio Aru after the finish of the stage. “Today was a difficult stage in the mountains all around La Molina. Probably as a consequence of my past month of training without racing, I was not perfectly brilliant when there was the change of thythm for the final sprint,” explained the captain of the Astana Pro Team. “I feel good and this is what is really important looking to the next stages and to the season to come,” concluded Aru. Stage 3 of Volta Catalunya concluded with a mountain top finish in La Molina, Vuelta a Espana stage winner Esteban Chaves stayed in contention until the final steep slopes to finish in 29th place. A large group of riders were still together until the final kilometre of the race when the gradient increased. Numerous riders tried to get away but a well timed late move by Dan Martin (Etixx-Quickstep) saw him take the stage victory. Sport director Neil Stephens explained how it was a really hard stage and although the team didn't come away with a top result he was pleased with the teams efforts. "It was a really solid day today," Stephens said. "It was the first time we really had to put things to the test. The boys did a great job, Damien Howson was really good after such a long time without racing to stay up there until the last climb. "Everyone in their own capacity did a good job and in all reality the only thing missing in the end, was in the last two kilometres when the real punch comes down. Esteban is not quite up there at 100% yet, so that's the cards we have got and we will just have to play with them." With another mountain top finish tomorrow Orica-GreenEDGE have another chance to fight for a result. Team Giant-Alpecin were present on the uphill finish with Warren Barguil as he raced to 38th place. The team were still present in the front peloton after the day’s penultimate climb with Warren Barguil and Georg Preidler in a good position and staying out of trouble. Warren Barguil hung on for as long as possible as the attacks started to fly in the last kilometers and he set his own pace as he crossed the line in 38th place, 45″ behind today’s winner. Unfortunately, it was not all good news for the Team Giant-Alpecin as Tom Dumoulin abandoned the race after still suffering from last week’s illness. The team hoped that it would improve over the week but it continued to get worse and, as a result, he was unable to continue racing. Dumoulin explained: "At the beginning of the week, I wasn't feeling sick anymore and the plan was to try and get stronger day by day. We were going to use this week to build up my fitness, but it turned out to be different. My condition got worse over the first two stages and today I didn't have the legs to continue." Coach Rudi Kemna added: "Unfortunately, Tom was not fit to continue today's stage. We hoped that it would get better over the week, but his condition deteriorated and, as a result, he was unable to keep racing. Tom will travel home tomorrow to fully recover and we expect he will be able to resume his training again in the next few days." 13 km from the finish, Louis Meintjes was trying to move to the first part of the group. He was behind his teammates when an accidental contact with an opponent threw him to the ground. The impact was bad and forced the young talent of LAMPRE-MERIDA to remain on the ground for a long time before finding the strength to climb on the bike and reach the finish line, escorted by Grmay and Durasek. At the finish, the delay of the South African climber was 13.02. After the stage, Meintjes was accompanied by Dr. Beltemacchi, doctor of Team Lampre-MERIDA, at the nearest hospital where radiological investigations have ruled out fractures. However, he has still pain associated with contusions to the trunk and legs. In the morning, the rider will assess, together with the team doctor and technicians, whether he will continue the race. For VERVA ActiveJet Team Jordi Simon attacked on the penultimate climb, but the action ended before the final climb. “I wanted to try my luck. I knew the finale and saw a chance. The main group was going very fast and I was not able to gain a significant advantage. On the last climb I knew that I would not be able to fight with the best, so I sat up, quietly thinking about the next day. I have certainly not said the last word,” said the Spaniard who eventually finished in a distant 75th place. After obtaining places of honor in the first two stages, Kevin Reza escaped on Wednesday in the first mountain stage won by Dan Martin (Etixx-Quick Step), without achieving his goals but setting an example for his teammates for the fourth stage which will offer a similar profile. "The target was to go in breaks since we do not have a rider capable of going for GC," says FDJ sports director Thierry Bricaud, "and Kevin Reza therefore slipped into a breakaway of seven riders including Weening (Oranje-Roompot) who was the last to get caught. In this stage, neo-pro Jeremy Maison was expected to stay with the best longer than his teammates. "Jeremy has not had any luck," says his manager, "because he had a problem with his chain when the pace of the race intensified. He has not returned to the pack. During this stage, Sébastien Chavanel who resumed competition this week after becoming a father three weeks ago, gave up. It was not an ideal ground for his comeback."